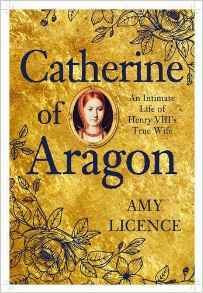 Catherine of Aragon continues to fascinate readers 500 years after she became Henry VIII’s first queen. Her life was one of passion and determination, of suffering and hope, but ultimately it is a tragic love story, as circumstances conspired against her. Having lost her first husband, Henry’s elder brother Prince Arthur, she endured years of ill health and penury, to make a dazzling second match in Henry VIII. 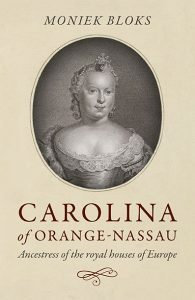 There is no doubt that she was Henry’s true love, compatible with him in every respect and, for years, she presided over a majestic court as the personification of his ideal woman. However, Catherine’s body failed her in an age when fertility meant life or death. When it became clear that she could no longer bear children, the king’s attention turned elsewhere, and his once chivalric devotion became resentment. Catherine’s final years were spent in lonely isolation but she never gave up her vision: she was devoted to her faith, her husband and to England, to the extent that she was prepared to be martyred for them. 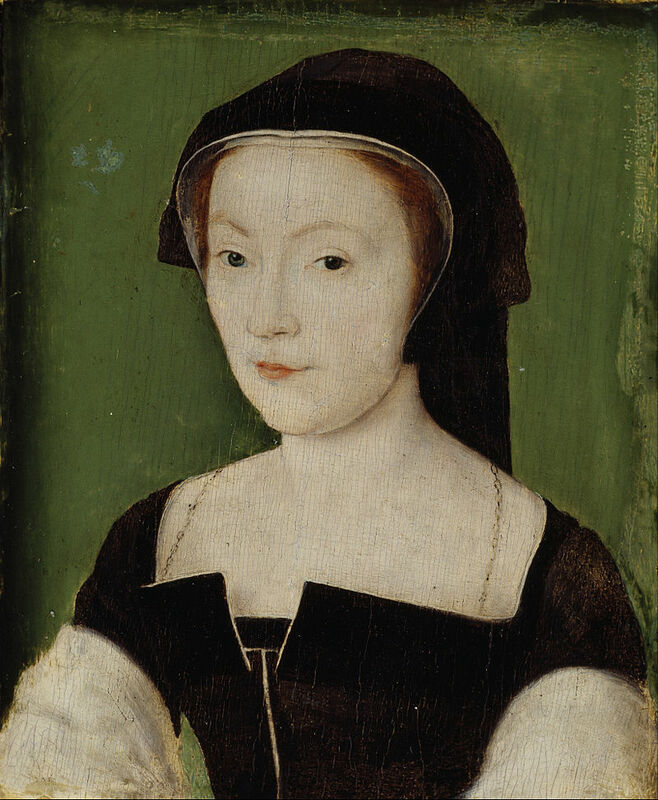 One of the most remarkable women of the Tudor era, Catherine’s legendary focus may have contributed to the dissolution of the way of life she typified. Marie Antoinette has always fascinated readers worldwide. Yet perhaps no one knew her better than one of her closest confidantes, Marie Thérèse, the Princess de Lamballe. The Princess became superintendent of the Queen s household in 1774, and through her relationship with Marie Antoinette, a unique perspective of the lavishness and daily intrigue at Versailles is exposed. Born into the famous House of Savoy in Turin, Italy, Marie Thérèse was married at the age of seventeen to the Prince de Lamballe; heir to one of the richest fortunes in France. He transported her to the gold-leafed and glittering chandeliered halls of the Château de Versailles, where she soon found herself immersed in the political and sexual scandals that surrounded the royal court. As the plotters and planners of Versailles sought, at all costs, to gain the favour of Louis XVI and his Queen, the Princess de Lamballe was there to witness it all. 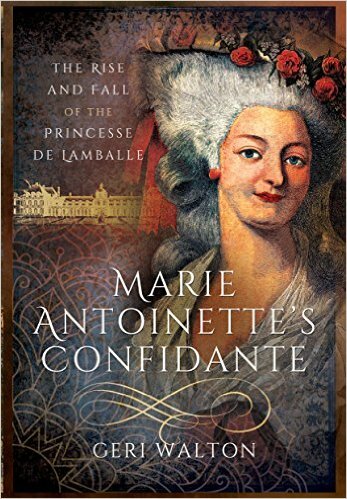 This book reveals the Princess de Lamballe s version of these events and is based on a wide variety of historical sources, helping to capture the waning days and grisly demise of the French monarchy. The story immerses you in a world of titillating sexual rumours, blood-thirsty revolutionaries, and hair-raising escape attempts and is a must read for anyone interested in Marie Antoinette, the origins of the French Revolution, or life in the late 18th Century. These extraordinary possibilities are fully dramatized in John Edward’s superb short biography. 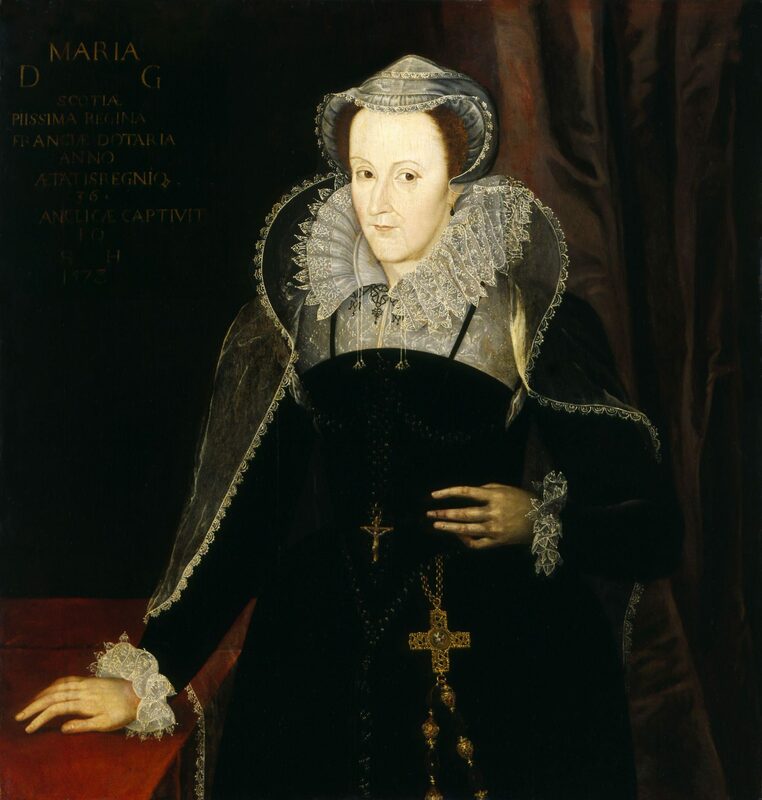 The real Mary I has almost disappeared under the great mass of Protestant propaganda that buried her reputation during her younger sister, Elizabeth I’s reign. But what if she had succeeded? 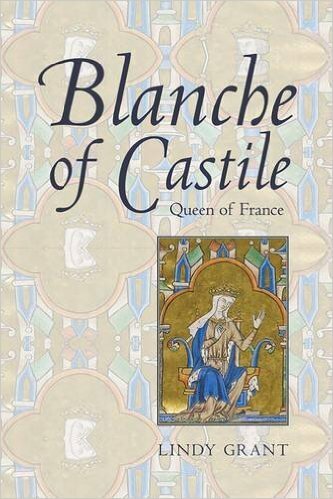 This is the first modern scholarly biography of Blanche of Castile, whose identity has until now been subsumed in that of her son, the saintly Louis IX. A central figure in the politics of medieval Europe, Blanche was a sophisticated patron of religion and culture. Through Lindy Grant’s engaging account, based on a close analysis of Blanche’s household accounts and of the social and religious networks on which her power and agency depended, Blanche is revealed as a vibrant and intellectually questioning personality. 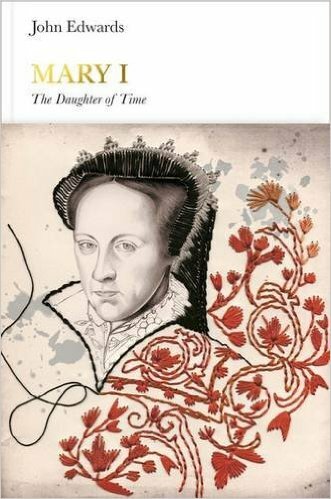 In the five centuries since her death, Catherine Howard has been dismissed as ‘a wanton’, ‘inconsequential’ or a naïve victim of her ambitious family, but the story of her rise and fall offers not only a terrifying and compelling story of an attractive, vivacious young woman thrown onto the shores of history thanks to a king’s infatuation, but an intense portrait of Tudor monarchy in microcosm: how royal favour was won, granted, exercised, displayed, celebrated and, at last, betrayed and lost. The story of Catherine Howard is both a very dark fairy tale and a gripping political scandal. 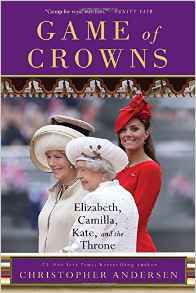 Born into the nobility and married into the royal family, during her short life Catherine was almost never alone. Attended every waking hour by servants or companions, secrets were impossible to keep. With his research focus on Catherine’s household, Gareth Russell has written a narrative that unfurls as if in real-time to explain how the queen’s career ended with one of the great scandals of Henry VIII’s reign. More than a traditional biography, this is a very human tale of some terrible decisions made by a young woman, and of complex individuals attempting to survive in a dangerous hothouse where the odds were stacked against nearly all of them. By illuminating Catherine’s entwined upstairs/downstairs worlds, and bringing the reader into her daily milieu, the author re-tells her story in an exciting and engaging way that has surprisingly modern resonances and offers a fresh perspective on Henry’s fifth wife. 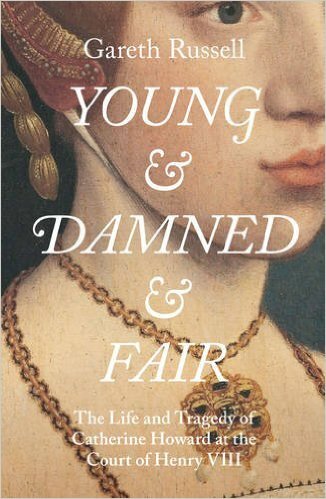 YOUNG AND DAMNED AND FAIR is a riveting account of Catherine Howard’s tragic marriage to one of history’s most powerful rulers. 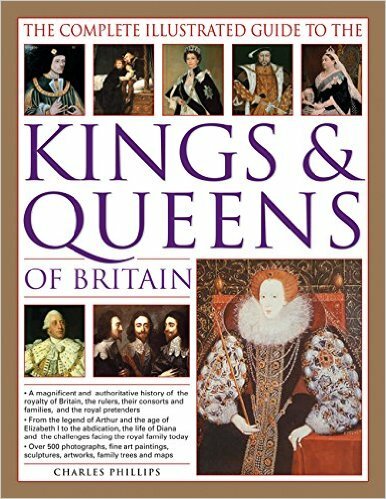 It is a grand tale of the Henrician court in its twilight, a glittering but pernicious sunset during which the king’s unstable behaviour and his courtiers’ labyrinthine deceptions proved fatal to many, not just to Catherine Howard. 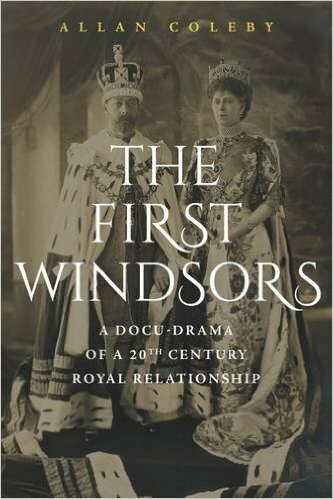 The British monarchy was in a fragile state in 1910. Since the death of Prince Albert in 1861, Queen Victoria had become a recluse, rarely seeing her Ministers. Then, Edward VII sought popularity by restoring glamour to the sovereign, but the people criticised his licentious ways. His heir, Edward Victor, had died of pneumonia, and the new King, George V, had had only naval training. However, the beautiful Mary of Tech grew to know George at Eastbourne and Sandringham, and a loving, mutually supportive relationship developed. Mary was calm and competent, learning thrift from her warring parents in the 1880s, as they fled to Florence from their creditors. Her placid manner had a soothing effect on George who was socially awkward. She had a quiet strength. When only 18, she had worked with destitute widows and cared for convicts’ children. During her marriage to George, she showed her versatility by relating to a range of personalities: the aloof and imperious Queen Victoria, the firebrand Trade Unionist Mary Mac Arthur, the egotistical Queen Alexandra, the energetic Maud, Queen of Norway, and the glamorous Princess Victoria Louise and her father, the haughty and aggressive Kaiser Wilhelm II. But her priority was always to be loyal to George, supporting everything he did. In the war, they worked tirelessly to raise the population’s morale, and George showed immense courage by visiting the carnage of the Front three times, sustaining serious injury. His tastes were plain and simple: he grew vegetables at Buckingham Palace, turned off the heating, rationed the staff and banned wine at meals. Politically, he powerfully argued the need for a monarch: one person to give continuity through the changes of Governments, and stability by being separate from and above party politics. George and Mary complemented each other, each driving their own worlds. They needed each other, and together they steered the nation through the gravest peril to national survival. 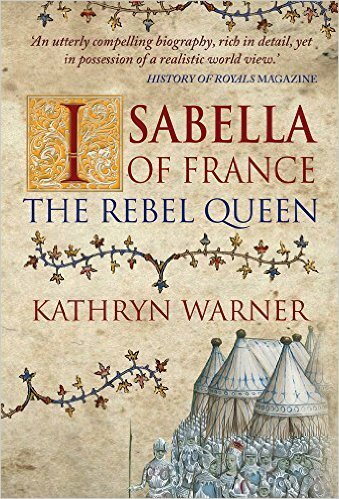 Isabella of France married Edward II in January 1308, and afterwards became one of the most notorious women in English history. In 1325, she was sent to her homeland to negotiate a peace settlement between her husband and her brother Charles IV, king of France. She refused to return. Instead, she began a relationship with her husband’s deadliest enemy, the English baron Roger Mortimer. With the king’s son and heir, the future Edward III, under their control, the pair led an invasion of England which ultimately resulted in Edward II’s forced abdication in January 1327. Isabella and Mortimer ruled England during Edward III’s minority until he overthrew them in October 1330.